A golden brown turkey sits in a roaster having just been removed from the oven. 2 Can You Cook a Turkey Halfway & Finish it Later? 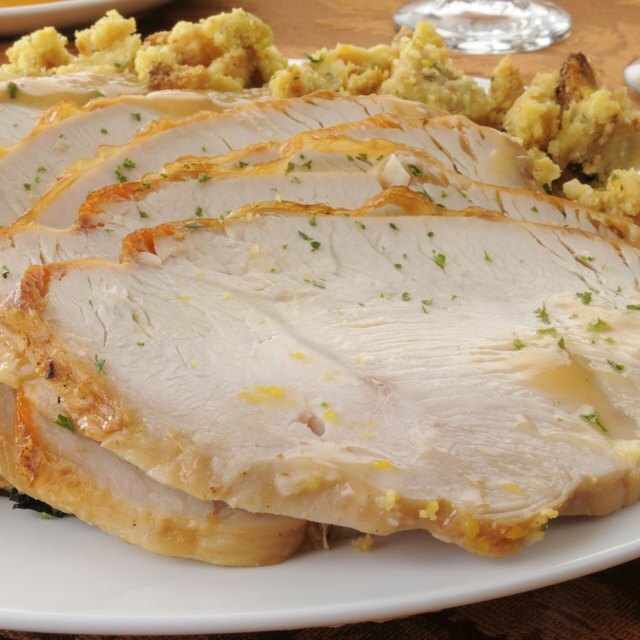 3 Is It Safe to Leave a Turkey at Room Temperature Before Cooking? Turkey usually isn’t the only thing on the menu, but depending on how large it is and how large your oven isn’t, it can create a dilemma. Thinking outside of the box — or, in this case, oven — there are alternative ways to cooking the turkey without monopolizing every inch of available oven space. Using a roaster to cook your turkey frees up the room for other dishes that need to be heated while cooking your turkey to juicy perfection. Thaw the turkey completely before roasting. Refrigerator thawing can take five to six days; thawing it in cold water can take up to 10 hours, and the water should be changed out every 30 minutes. If the turkey is small enough or your microwave is big enough, this offers a faster thaw time, but the turkey must be cooked immediately. Follow the manufacturer’s instructions for defrosting in your microwave. Remove the turkey from the packaging. Remove the giblet packet and anything else from the inside cavity. Season and stuff the turkey as desired before placing it onto the rack in the roaster preheated to 375 degrees F with the lid on. 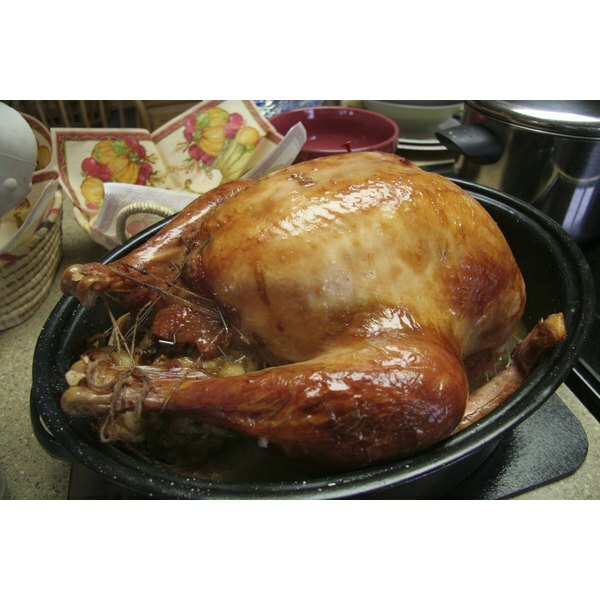 Allow the turkey to roast, checking it periodically to spoon the juices from the bottom over the turkey to keep it moist. Check the internal temperature of the turkey with a meat thermometer to make sure that it is at least 165 degrees F when it is done. Remove the turkey from the roaster or simply turn it off and allow the turkey to sit for at least 15 minutes before carving. Cooking time will vary depending on the size of the turkey and whether or not it is stuffed. A rule of thumb is to allow 15 minutes of roasting time per pound, with 30 minutes added to the total cooking time if the turkey is stuffed, the Divine Dinner Party website reminds. Ultimately, the thermometer will let you know. Read and follow all directions carefully for your particular roaster. If you opt to use a cooking bag for your turkey, it is important that the bag does not make contact with the sides of the roaster.